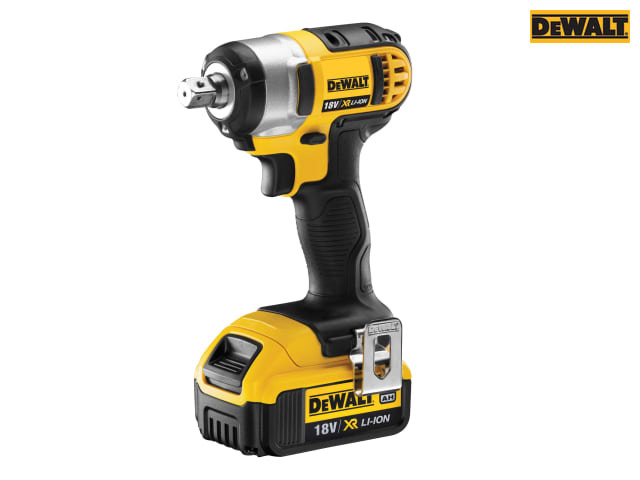 The DEWALT DCF880M2 is an 18 volt XR Li-Ion Compact Impact Wrench, featuring XR 4.0Ah Li-Ion battery technology. Its ultra compact, lightweight design allows for use in confined spaces, whilst the intelligent trigger allows total control over all applications. All metal gearing ensures efficient power transmission, and an aluminium front housing provides greater heat dispersion, which increases motor life. 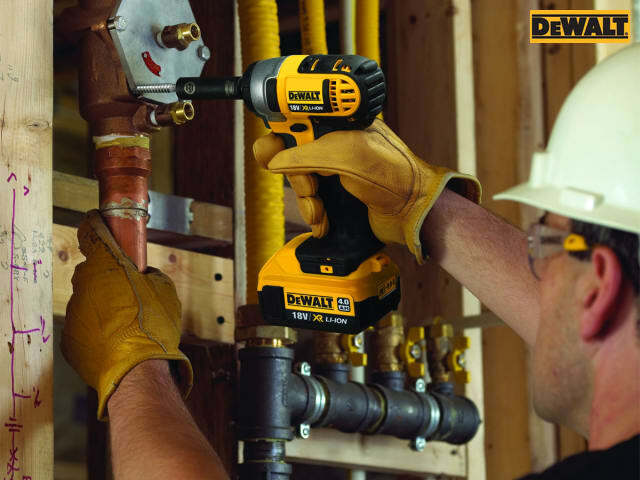 The wrench's improved ergonomic design and rubber grip increase comfort and provide greater application control. DCF880M2: 2 x 18 Volt 4.0Ah Li-Ion Batteries. DCF880N: Bare Unit, No Battery or Charger. Bit Holder: 12.7mm (1/2in) Detent Pin. 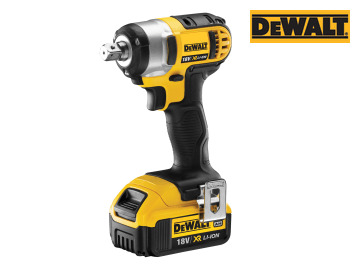 DEWALT DCF880M2 XR Compact Impact Wrench 18 Volt. 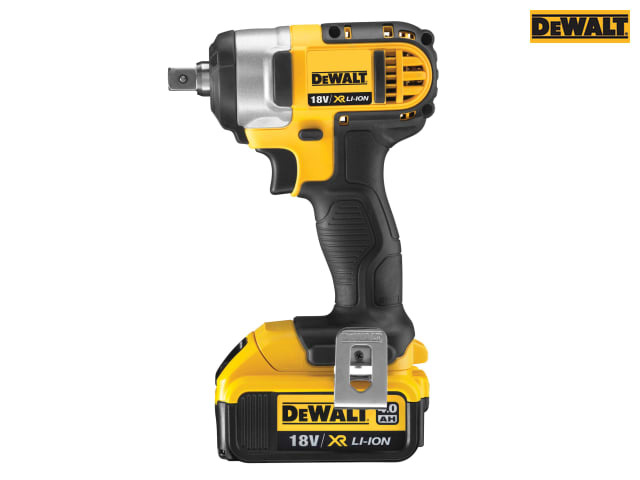 Comes with: 2 x 4.0Ah Li-Ion Slide Pack Batteries, 1 x Multi-Voltage Charger and a 1 x Kit Box. 2 x 4.0Ah Li-Ion Slide Pack Batteries.